AllegroMedical.com offers premium quality options for those in need of a pedlar exerciser, stationary bikes or stationary exercise bikes. Whether you want a scooter, a mini exercise bike, a resistive pedaler, a bi-directional pedlar exerciser, one of the classic stationary bikes or stationary exercise bikes, you have a diversity of options. Select from top quality manufacturers like Cando, Drive, Sammons Preston, Trikke, MagneTrainer by 3D Innovations, AB Marketers, and more. 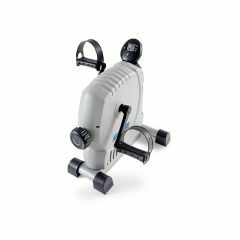 AllegroMedical.com offers the very best in pedlar exercisers and exercise bikes, as well as essential accessories at the lowest prices guaranteed. See our Best Price Guarantee for more details.